This workshop is open to age group 9 yrs to 14 years only. This is not a workshop for children to ace or excel in photography. Please don’t attend/ send your child to attend if you want him to ace, excel photography or be the best in the group. DPC endeavors to make photography fun–ONLY! In the quaint Hemis Jangchub Choling Monastery, the colorful extravaganza of celebrating the birth of local savior Lord Padma sambhava is under fervent preparations. 45 kms from Leh, capital city of Ladakh witnesses’ international crowds come to join the festivities. Dance, music, prayers, masked performances and a medley of colors will be seen everywhere you see. The otherwise quaint and rugged landscape of Ladakh turns vibrant and chaotic during this monastery festival. The birth of Guru Rimpoche also known as Lord Padma sambhava is the occasion which is celebrated during Hemis Festival. The spiritual leader is conferred as the local savior. The leader of Tantric Buddhism, it is said that he introduced Buddhism in the Himalayan Kingdom as early as the 8th Century. The festival highlight is the Dance performances and plays by masked Lamas. The masked dancere presents the good prevailing over evil. The participants of the spellbinding performance are dressed in vibrant costumes and bright masks. Every mask has its own place in Tibetan and Buddhist legends. Signifying aspects of good and evil, they are designed as humble, divine faces, animals, skeletons and numerous frightful figurines. Dancers can be seen with slow dance movements and fanciful expressions. The masked dance performance is created on music medley of sounds of drums, trumpets and cymbals. The famous Padma sambhava dance, the highlight of the dance shows the victory of the ruta demons. The dances are spellbinding as the divine is represented and its said to be purifying your soul. 15th Jul:DAY 10: Delhi by 10 AM. Stay: will be on twin sharing basis in a home stay environment. Mode of travel: We will be travelling in AC TEMPO traveller together. Qutub Minar is a World Heritage Site and has survived the ravages of time impressively. The Minar of Delhi is surrounded by a lush green garden, which is an ideal leisurely place for visitors. Qutab Minar is the favourite destination of tourists. It is India’s most visited monument attracting around 3.9 million visitors every year. The tall minaret was constructed in 1192 byQutab-ud-din Aibak, and later completed by his successor Iltutmish. The soaring conical tower is an exquisite example of Indo-Islamic Afghan architecture. Each of the 5 storeys and tower of Qutub Minar has unique designs. It was hit by lightening couple of times and was damaged. Qutab Minar is a great masterpiece of Mughal architecture. 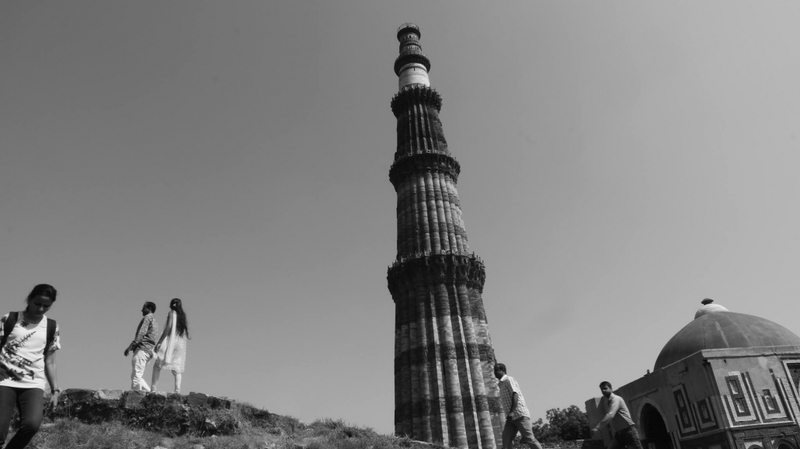 The base of the Qutub Minar measures 14.32 meters and the top of the structure measures 2.75 meters. The tower is so high that around 379 steps are needed to be climbed to reach the top. Another taller tower adjacent to Qutub Minar is named Alai Minar which is somewhat tilted in one direction.The verses from the holy Qur’an are carved on sandstone walls of Qutub Minar. This monument serves the purpose of calling people for prayer in the Quwwat-ul-Islam mosque. This is a tower of victory, a monument that signify the might of Islam, or a tower for keeping a check for defense. Other attractions are the Iron Pillar is one of the metallurgical interests of the world. It is a thing to study as well as famous tourist destination. Traditionally people believe that if anyone standing in front of pillar with his back towards the column can encircle it with their arms, all his wishes will be fulfilled. In case of more requests for attending than we can accommodate, we encourage first time comers with normal digital cameras. We accept 60 people for the walk (to better manage the logisitcs for the walk leader). 2 days prior to the walk, we send out mails seeking confirmation from those who have been invited for the walk. MOSCOW, Jany 29, Rossiya Segodnya Press Service – The Andrei Stenin International Press Photo Contest has announced the members of its international jury for 2019. They include leading photographers and editors of major world publications, as well as photo and news agencies. The following experts will judge competing works this year: James Hill, a British photographer with The New York Times, the second-largest newspaper in the US by circulation; Peter Bitzer, head of the laif photo agency, a leader of the German media market in travel and press photography; Alice Gabriner, international photo editor at Time magazine, one of the most popular weekly magazines in the US; Cho Bo Hee, deputy head of the newsdesk at the Yonhap News Agency, the leading news agency in South Korea; Colombian-American photographer Juan Arredondo, known for his photo series from Southern and Central America devoted to human rights; Sergei Ilnitsky, a Russian photographer who has worked for epa (European Pressphoto Agency) for over 15 years; Alberto Prina, founder and coordinator of the annual Festival della Fotografia Etica in Lodi, Italy. In 2019, participants will compete for prizes in five categories. A new category, Inspiration, was added to the traditional four categories: Top News; Sports; My Planet; Portrait. A Hero of Our Time. The Inspiration category will feature single photos that were inspired by landscapes, colorful genre or ethnic shots, as well as portraits of children and adults showcasing various styles and techniques. 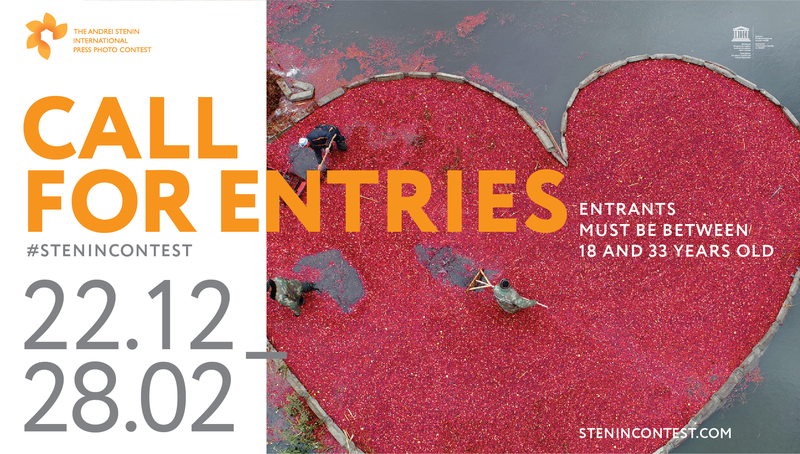 In the other categories, contestants can submit one work (a single photograph or a series). 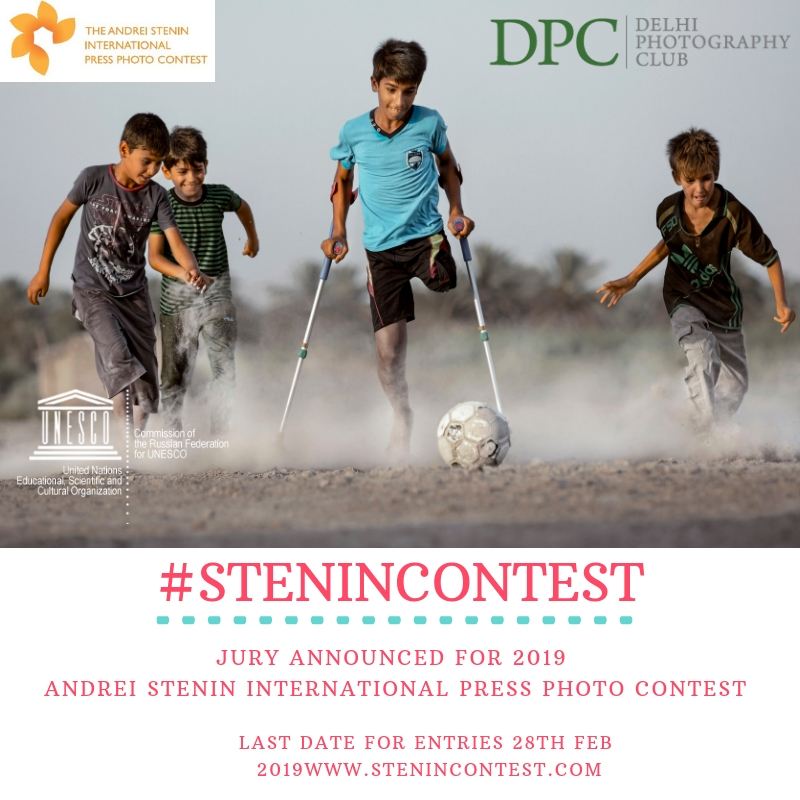 Works for the 2019 contest must be submittedbefore February 28 on the website stenincontest.com. In 2019, the international information partners of the contest include Sputnik International Information Agency and Radio, Askanews Information Agency, Independent Media Holding, Notimex News Agency, ANA News Agency, RT channel and website, Shanghai United Media Group (SUMG), China Daily website, PNA news agency, AlYoum AlSabee newspaper and website, The Paper website, and Al Mayadeen media network, Renminwang website. The industry partners supporting the contest are the Russian Photo and Photo-study.ru websites, School of Visual Arts, Academy of Photography, the YOung JOurnalists information portal, the Contrastes magazine, the Fotoargenta magazine, the All About Photo website, Cuartoscuro magazine, Delhi Photography Club and PhotON festival as an international partner.